This is my 500th post. It's not very exciting when I think that I've been blogging since 2000, earlier if you count our Germany Journal, but milestones deserve to be celebrated, yes? Also, I recently won a giveaway! Wasn't I just saying that I never win anything? And now, twice in 3 months! So: Diane at From Blank Pages launched this clever thing a while back. Charming Travelers! 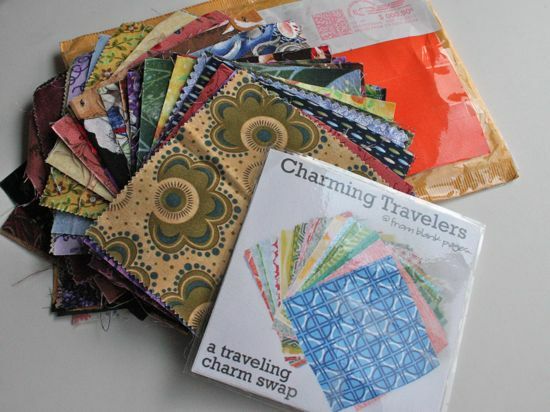 It's a charm pack (56 5x5 fabric squares) that she gave away on her site. 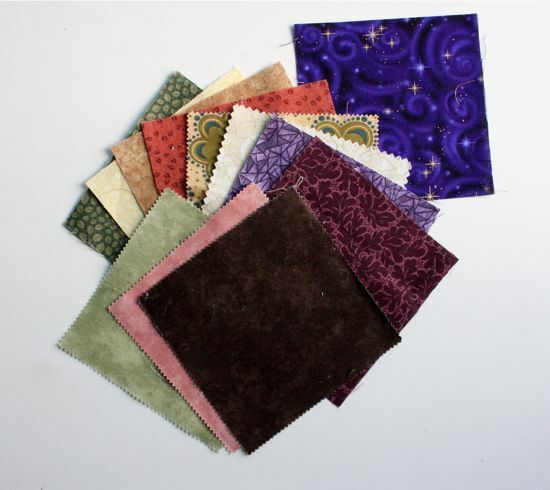 The rules state that if you win the Travelers, you get to pick out whatever squares you like from the pack, add in new fabrics to replace those you took out, and then you give the updated collection away again. Diane's got a map going on her site tracking where the Travelers go, and I'm stop #10, winning the pack from Skook's Playground. So, since the Travelers are now ready to move on, and since this is post number 500, I'm hosting my very first giveaway. to help keep Diane's map updated, winners must fill out the quick and easy form to let her know where you are! if the charm pack arrives full of unwanted charms, let Diane know and she'll clear it out and fill it back up with more beautiful fabrics! 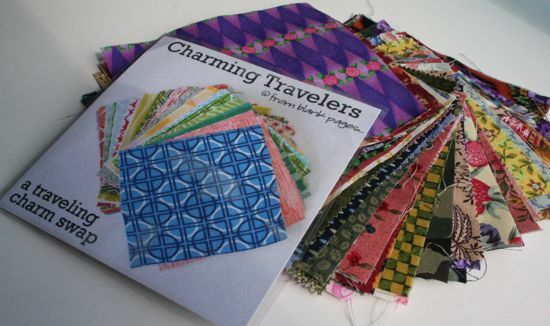 If you're interested in having the Charming Travelers maybe come visit you, please leave me a comment below. Be sure your comment profile includes your email address (or include it in your comment) so I can contact you. I'll ask random.org to pick a winner on Wednesday, October 10th. Good luck! Sounds like fun... Count me in please! Congratulations on your 500th post. Since I'm a blog newbie that's truly impressive. Congratulations to your 500th! It's really amazing that you not only managed to start so early but also to stick to regular posting. Unfortunately I cannot take part in your giveaway. Best wishes! Congrats on number 500!! Please include me in the draw. I'd love to play along with the charming travelers. Wow!!! Congratulations!!! Please put me in for the giveaway!!! I'd love the Charming Travelers to visit me. I would love a visit from the Charming Travelers! Who dosn't like having a charming travler come visit them.